Double click on the image. This will open it in the image editor. Click above and to the left of the eye. 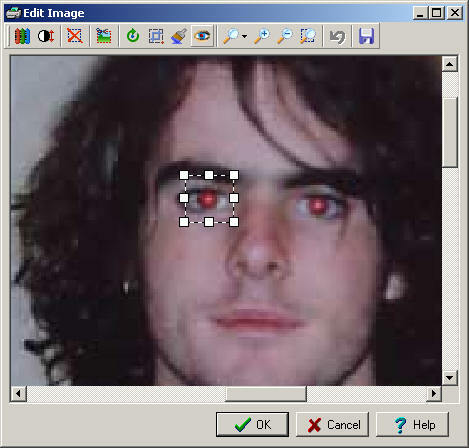 Click on the 'Red eye removal" button.